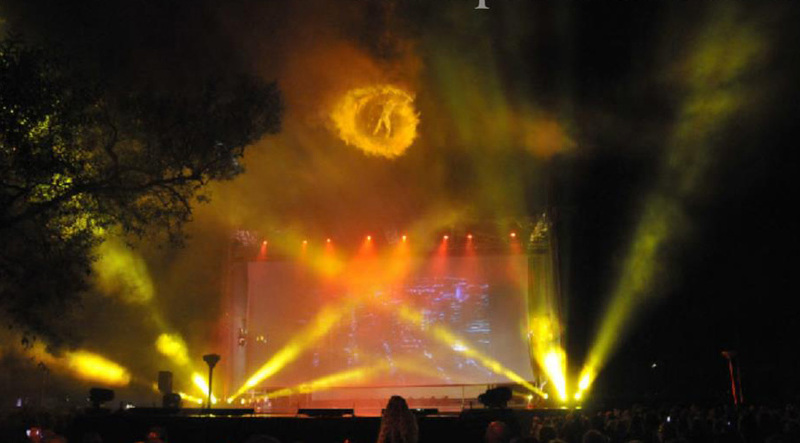 The show concert � The Living Planet� is about the planet Earth and a cooperation from Corpus acrobatics with Circle Percussion. Corpus is using the 5 Elements; Earth, Fire, Water , Air and Metal as a main inspiration. The Living Planet has been performed in concerthalls, theatres and events. 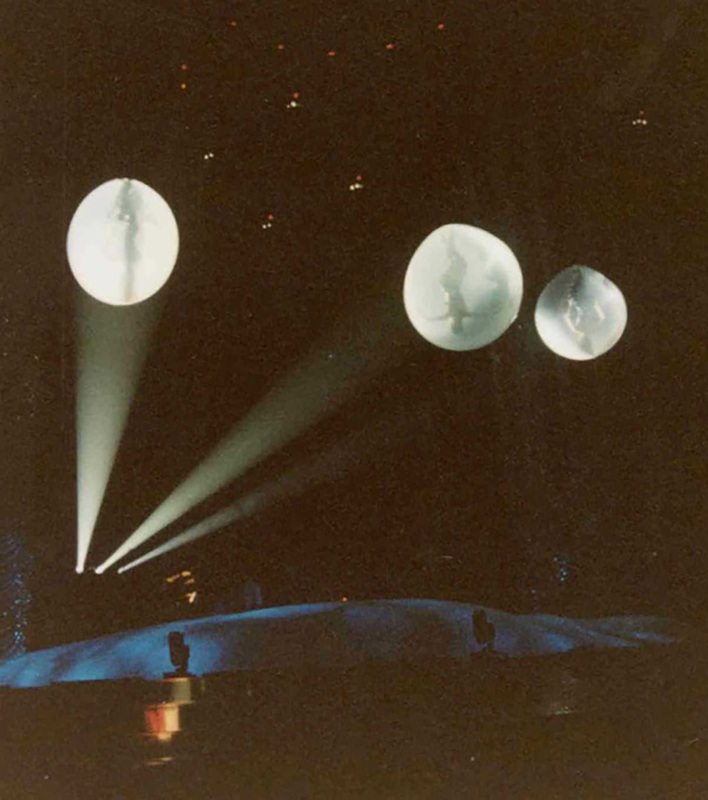 Circle Percussion developed themselves as percussion perfectionists. For many years Circle Percussion is the �trendsetter� in percussion land, with specialty the authentic Japanese Taikos. 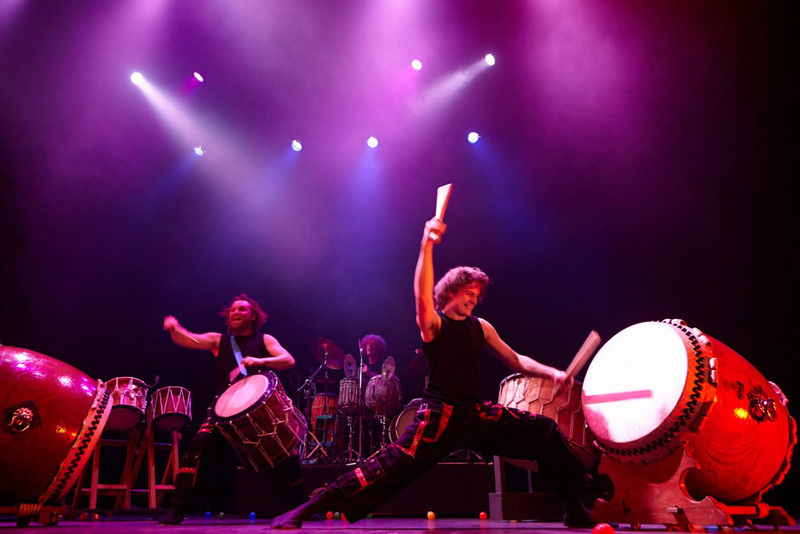 Specially the art of Japanese percussion is asking all physical and mental energy. Circle Percussion owns the full range of authentic drums from all the regions of the world. 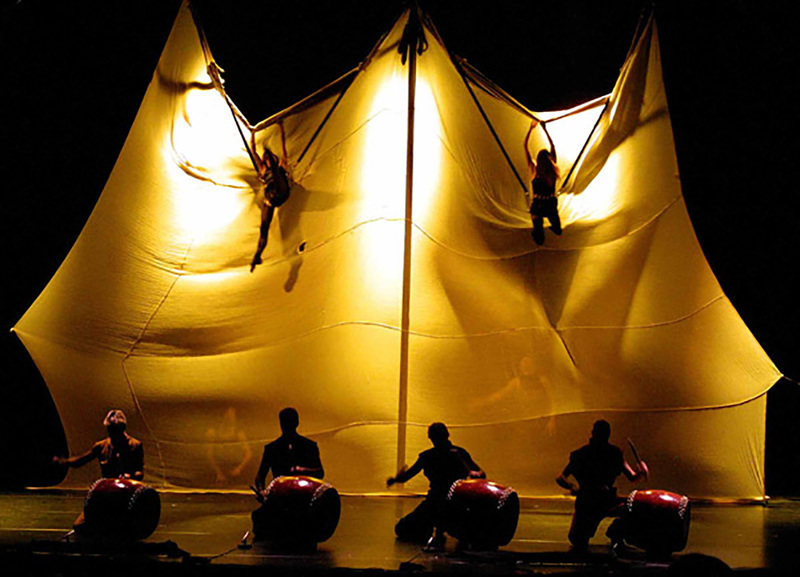 Special are the Japanese drums, were the biggest has a diameter of almost 2 meter.